GRE Classics is a unique luxury gift company inspired by pioneering family heritage. Creating a collection of beautifully crafted and precision engineered art pieces. For you, a loved one or a special occasion. For your luxury home or corporate office. Timeless, stylish and collectable all proudly made in England. Inspired by pioneering family heritage GRE was a genius engineer and designer. 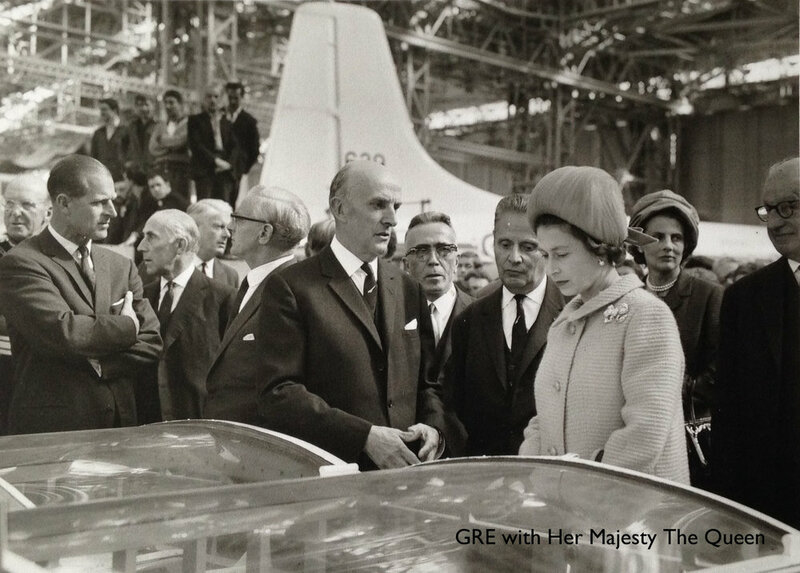 From significant advances during WWII to chairing the British team Concorde project GRE was recognised worldwide for his outstanding contribution to aviation. A model from the GRE collection is so much more than a gift. Each is unique and therefore collectible. The simplistic design and clean lines create timeless pieces. For your luxury home or the board room? A birthday or father’s day gift? A unique wedding present or maybe for the man who has everything? The simplistic design, quality craftsmanship and flawless finish make these models art pieces. With the precision engineering in the steering, axle system and wheels we often refer to them as "engineered art". To achieve the high quality and luxurious feel carefully selected craftsmen across England bring their skill and passion together to create these wonderful art pieces. From experienced carpenters to master upholsterers and precision metalworkers each bring their unique talent. Many models from the GRE collection are offered as limited editions. Each carries its own unique plaque and is delivered with a certificate of authenticity. If you are looking for an unusal collectable perhaps a GRE is for you? For the ultimate personal gift the GRE Custom Car offers bespoke options to ensure no two models are the same and for you to tell your own story. From seat embroidery and paint colour, to wheel design and nose grille number each is uniquely yours.